My take: The Bookseller is about Kitty, a thirty-something woman in 1960s Denver, CO who owns a book store with her best friend. Lately, Kitty has been having some vivid and strange dreams where she’s living a parallel life that is quite different from her real life. She is called Katharyn and has a husband and three children. In her dream life she finds herself daydreaming about her life as Kitty. She can’t figure out what’s going on until the dreams begin to jog some memories. As confusing as this might sound, I found it easy to follow. Cynthia Swanson’s dual-storylines kept me turning the pages. It was apparent to me what was going on about midway through but that didn’t affect my enjoyment of the novel. It made me think about the imperfections in life and how they can change our idea of what would make us happy or content. The natural order of life, as well as unexpected circumstances, can make our lives turn on a dime. 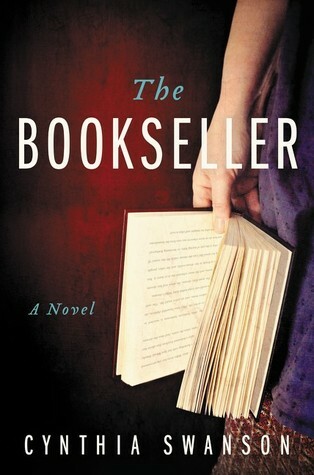 The Bookseller is Swanson’s debut novel. I think it would be a good selection for readers looking for something a little different. I was really intrigued about this one, when another fellow blogger mentioned it and have been waiting for a couple of reviews before making up my mind whether to add it to my list or not. I think now, that I might have been too easily swayed by the great cover art and the notion of the story being set around a bookshop. Comments from just about every review, have all highlighted that whilst they did enjoy the story, they all knew where the final outcome was heading, from about half way through the book. I have this one on my wish list on Audible. Think it might be a good listen. Nice to hear what you thought. I’ll be curious about your thoughts on the audio, Kay. I just started reading this last night and so far I’m really enjoying it! I got my copy from Vine, and did enjoy it. I liked the alternate lives, and I know that we often think of “what if,” after we have made our choices in life. Thanks for sharing. Thanks for the review. I waiting on my daughter to finish reading it, she is sharing her copy with me! I just read a novel with a similar sounding premise, The Other Life. Great review Mary. I am curious about The Bookseller. Pat, thanks for sharing about The Other Life. I added it to my GR list. Did you like it? This one sounds interesting. I love the alternate realities premise. I’ll have to check it out! This is the second time I’ve heard about this novel, and it sounds like such an intriguing plot! Glad to hear you enjoyed it – I will have to add it to my ever-growing TBR list! I keep seeing bloggers posting about this book. It does sound interesting. This sounds interesting – thanks for not including any spoilers! Really enjoyed your review, it’s on my wishlist just because the cover calls me lol but yours is the first review that has me actually wanting to read it. I’m thinking I gotta try this one. This is a She Reads spring choice so it looks like I need to request it!